This is a staff-based wellbeing initiative program; designed to demonstrate an increase in staff satisfaction and workplace engagement. This project aims to improve the identification of clients who may be violent or aggressive towards St Vincent’s Hospital Network staff working in the community. The need for a skilled midwifery workforce is ever increasing within rural and remote Australia. The ‘Grow our Own’ initiative had three goals: to increase the number of midwives within the Western NSW Local Health District, increase the number of rural and remote midwives, and to increase access to skilled clinicians for rural and remote dwelling women. Mid North Coast Local Health District developed a comprehensive staff training program on domestic and family violence, to better understand violence prevention and create a safer, more respectful workplace. This project developed a number of tools and guides to help staff collect data and enter it into the electronic donor record more efficiently. 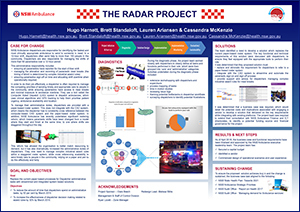 This project is looking at opportunities to streamline and integrate the administrative duties of ambulance dispatchers, to increase the amount of time they have available to deliver care to people in the community. Macksville Hospital developed a 24-month New Graduate Program for nursing staff that involved a 12-week intensive induction period, with clinical exposure and support over the course of the program. This project optimises consumer and staff safety in the ED and ensures SWSLHD provides consistent, therapeutic care to all mental health patients. 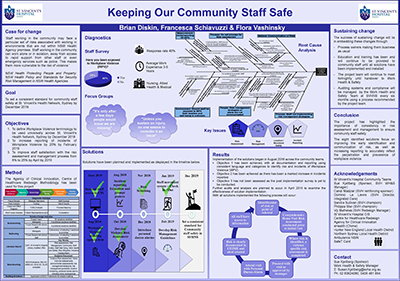 This project addressed factors that had a significant impact on vacant full-time equivalent positions, staff turnover, length of vacancies and the quality of consumers’ experience and engagement in care. This project aims to reduce overall sick leave rates of Mid North Coast Local Health District (MNCLHD) staff by introducing a ‘Fitness Passport’ program, which targets 850 staff and encourages them to attend a gym on a regular basis. Real Education Delivered (RED) is an adaptable education program that delivers professional support, information and learning opportunities to members of the multidisciplinary health care team within their working environment.